PLEASE NOTE HERMAN BROT EXPRESS ORDERS ARE ONLY SENT ON A TUESDAY AND CAN ONLY INCLUDE LOWER CARB BREAD AND PASTA. FOR ALL OTHER COMBINATIONS THAT INCLUDE MUESLI, THESE WILL BE SENT VIA FASTWAY COURIERS AND DUE TO LONGER DELIVERY TIMES, THE BREAD WILL BE IN OUR LONG LIFE PACKAGING. *EXPRESS ORDER must be received by MONDAY 9.00am and will be dispatched by Australia Express Post on Tuesday. PLEASE NOTE only one delivery a week. 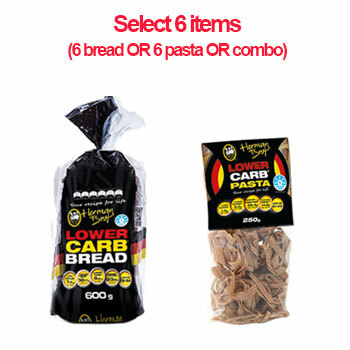 Our Lower Carb bread is also available in special LONG LIFE resealable packaging with the following benefits – Lasts for 4 weeks unopened | Once opened it will last for up to 5 days | Store in fridge once opened | Great for customers who live in regional locations and will be sent in all Mini, Combo and Bulk orders. WA customers will receive all bread orders in original packaging. Long Life packaging is not available in WA. FASTWAY COURIERS CANNOT DELIVER TO POST OFFICE BOXES. For Express orders, please click here to find which postcodes are serviced by Australia Post Express Post Guaranteed. We cannot take responsibility for any delivery to a postcode which is not listed in here. 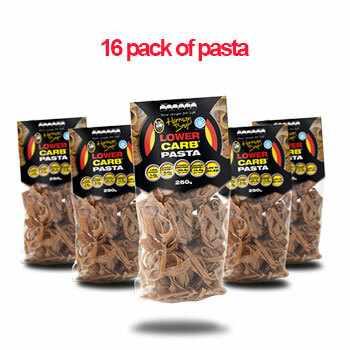 To minimise shipping costs our minimum EXPRESS purchase of fresh Lower Carb Bread (not long life) is 6 loaves OR 6 items (bread/pasta mixed). The bread freezes perfectly, and we recommend you store it in the freezer. Click on Buy Now under pack you wish to order. After payment has been received we will send cartons of bread (6 items), and cartons of mixed bread and pasta (6 items in total) by Australia Express Post on the following Tuesday. All other orders will be sent by Fastway Couriers on Monday, Tuesday and Wednesday after payment has been received.